I finally have pictures of two projects I finished in May, in time to wear for a Mothers Day lunch. 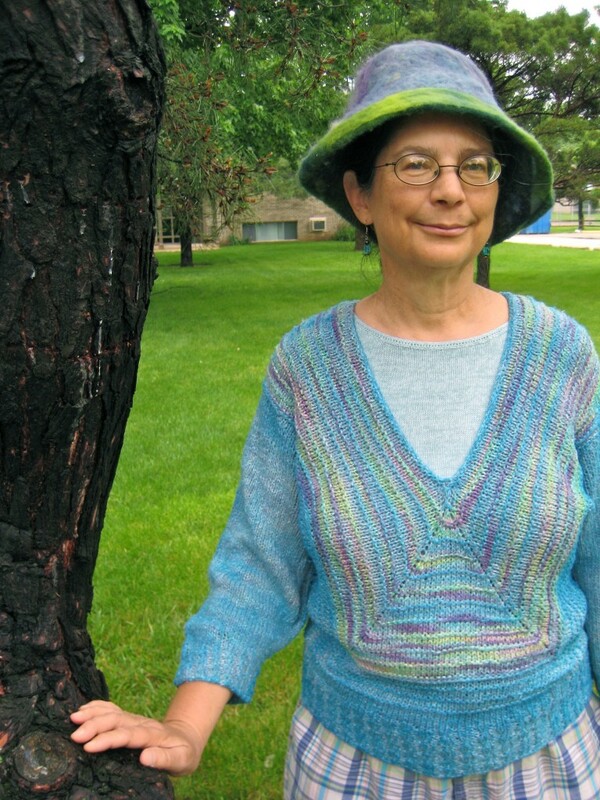 I designed the sweater – inspired by a couple of Jill Vossburg’s designs – and made it from a linen/cotton/rayon blend yarn called Del Sol. I had been working on it for at least two years, stopping for months at a time when I got to the point another decision had to be made. I had been meaning to make a needlefelted hat for years and had purchased a foam form to make one. 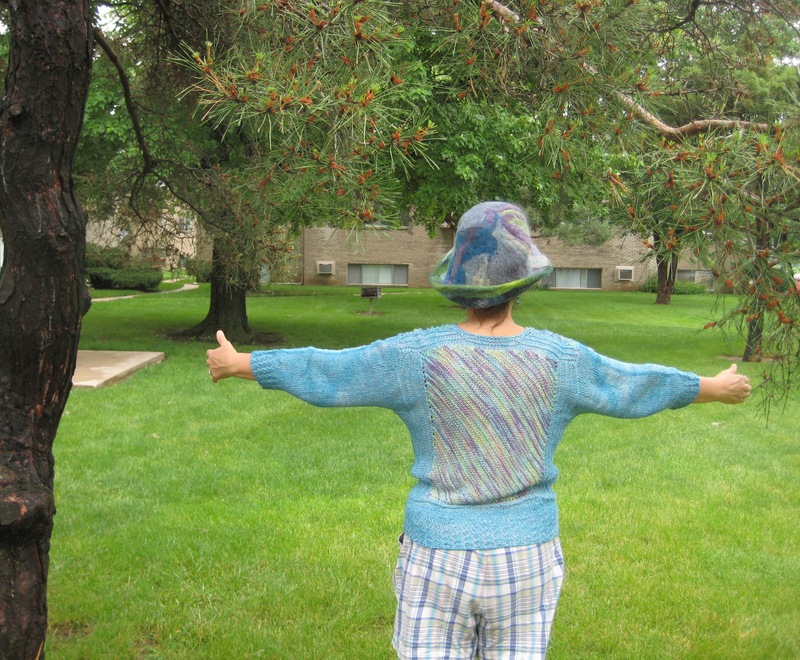 I needed a hat to wear to a Mother’s Day event at Mom’s retirement home, and made this in just four or five days. It is not as sturdy as I would like but I like the way it looks, and was also pleased with how it looks turned inside-out.